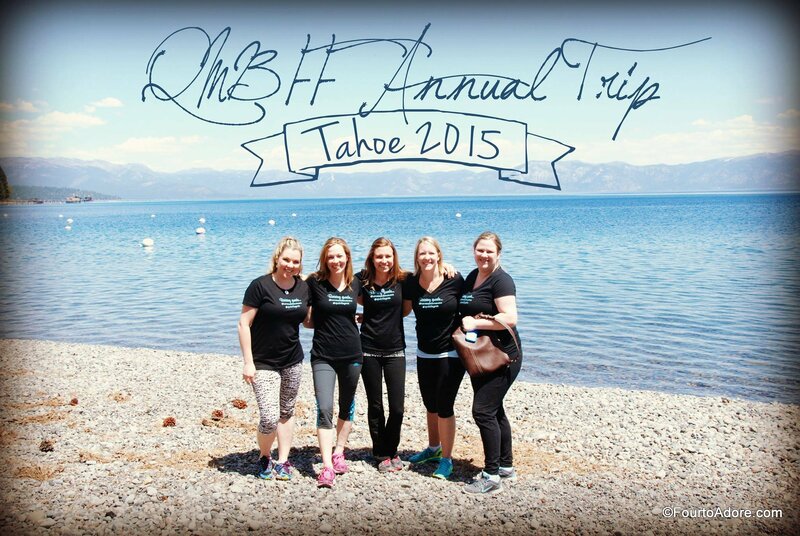 I am grateful for the time I recently spent in Lake Tahoe with four of the most incredible mothers I know. The bond between us is unique and unparalleled. Now that we are back home, I’m really appreciating the gift exchange we had while in Tahoe. 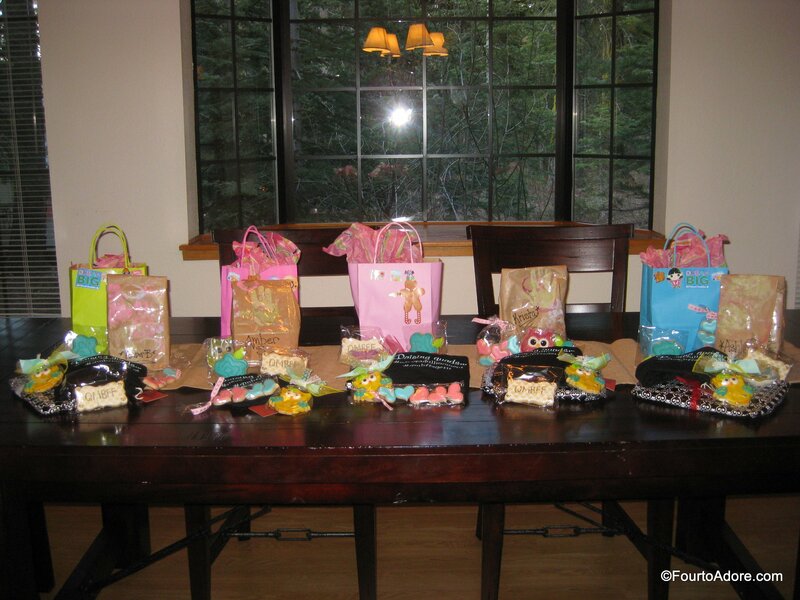 After we settled into the cabin, we used the dining room table to splay out piles of gifts for each other. We only see each other once each year so I suppose it’s like Christmas/ Birthday/ Thinking of You gifts all rolled into one. And, we were like a gaggle of children on Christmas morning as we ripped through tissue and proudly displayed our goodies. Amber created beautiful hand stamped necklaces reading “QMBFF”, which is the acronym we created for our little group (e.g. “Quad Mom Best Friends Forever). We proudly wore our necklaces the entire trip, and I wear mine almost daily now. She has a knack for jewelery making and sells customized pieces in her Etsy Shop,Texas Take. In fact, the girls proudly wear the bubble gum Minnie Mouse necklaces I ordered as stocking stuffers. She also ordered an assortment of personalized cookies made by a mother of triplets at Sugar Coma Cookies. Mary, the cookier, has been crafting gorgeous cookies for only about a year and I’m always blown away by not only the art involved, but the fact that they are delicious. I often find that pretty cookies don’t necessarily taste great, but hers are buttery and thick with a hint of citrus. Ashley embroidered custom t-shirts that read “Raising Quads. #neveradullmoment #qmbffs get it”, which we wore on our Treetop Adventure. Other custom items can be purchased from her shop, Sweet Dumpling Boutique. Becky packaged a trifecta of goodies including a book she’s raved about, No More Perfect Moms. I haven’t cracked it yet, but “No more perfect moms” has become a bit of a mantra for us. Amongst our group, we are totally open with each other about our day to day struggles, misgivings, and frustrations. We accept each other for who we are, and inspire each other to be strong mothers and wives without having unrealistic expectations. When one of us feels down, another will restate, “No more perfect moms!! !” In addition to the book, she gifted us healing salve (I later learned works wonders on ezcema and my uuber dry hands) and body butter from her sister’s shop, Cindy’s Suds. Krista’s gift bag consisted of some of her favorite items including a Norwex baby microfiber wash cloth, Signature Soy Island Coconut candle, eos Organic Lip Balm, and Sally Hansen Insta-Dri Nail Polish. I’m admittedly impressed by the wash cloth. It’s a microfiber cloth that with warm water alone removes water soluble make up while gently exfoliating. It was serendipity for me since I didn’t have space in my quart size bag for face wash. I used my cloth the entire trip. Apparently it’s also antimicrobial so it doesn’t get that funk rags usually harbor. I should really order a set for the quads. We burned one of the candles during the trip and the aroma is now nostalgic of our trip for me. I’ve burned mine daily so only about half remains…I’ll be hitting Target for another soon. Please note, if you put such a candle in your carry on luggage, TSA will search your bag and riffle through your dirty laundry. Not cool. Not cool at all. I’ve been a huge fan of the insta dri nail polish since the girls were about a year old and I started painting their toe nails. Rylin was ecstatic to find we had a new color in our collection. In fact, I’ve already painted her finger and toe nails twice. Rylin also loves using my special lip balm from Krista. She often requests to use “that lipstick from Krista”. I can’t blame her though, the strawberry scent is divine and it’s really smooth. 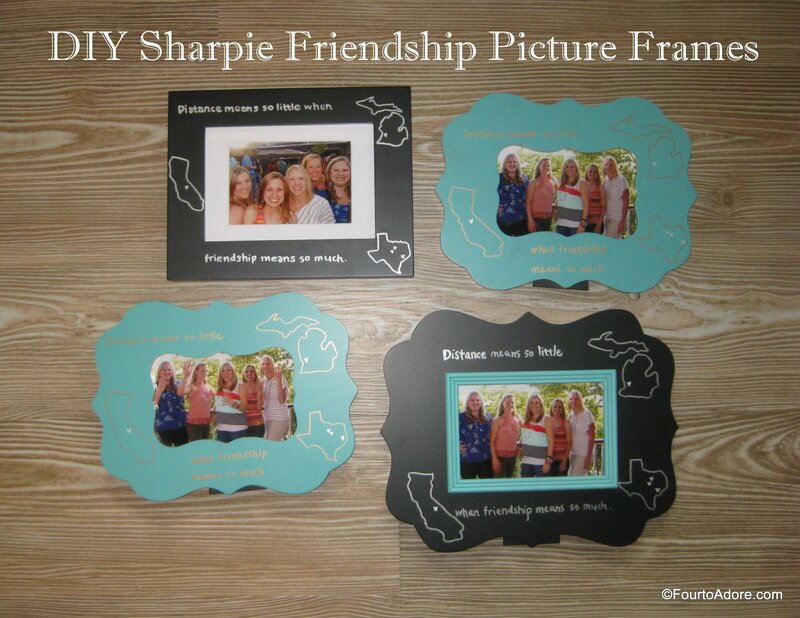 Of course, my gift to the girls was a picture frame decorated with our respective states that read, “Distance meas so little when friendship means so much.” They displayed their picture frames on the window sill behind the dining room table during the trip, and it made things seem cozy. Psst…Included links to the products mentioned in case you’d like to snag something for yourself or as a gift. Please see our affiliates page for further information about links.